SHOT mini-reviews » 2012 » Sightron SIII 1-7x24mm Shot show 2012 mini review. 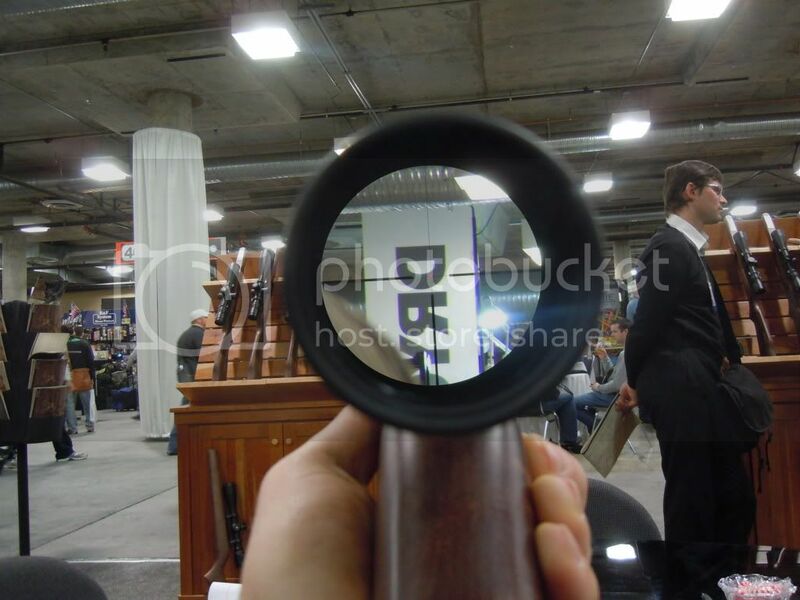 Sightron SIII 1-7x24mm Shot show 2012 mini review. Sightron is a brand I have little personal experience with, but seems to be popular and well thought of in some target shooting crowds. 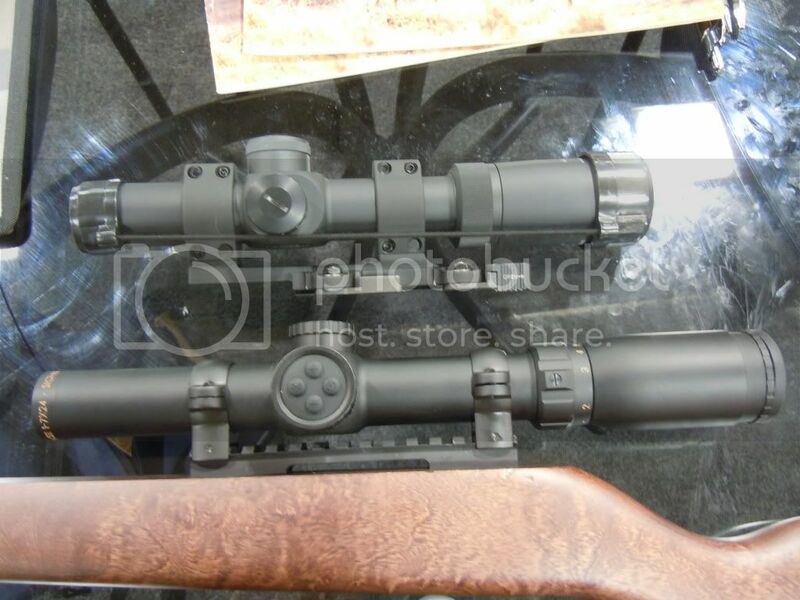 This year they introduced a 1-7x24mm scope as if to one up the flood of 1-6x choices. I had an opportunity to play around a bit with this optic at Shot. The first thing that will strike you about this scope is its length. Here is the Sightron 1-7x24mm pictured next to the GRSC reference. The GRSC seems to be about average or perhaps slightly longer than average for the 1-(n)x scope class. The Sightron is quite simply long though if you see this image and are worried about weight be consoled that, at 20oz, it is really pretty light. I am not surprised at the length given the power range and the laws of physics which specify, indirectly, that it is much easier to make a long scope than a short one and the higher the power the longer. I am often a fan of simply giving in to this constraint as it can allow a scope to be better optically, lighter, and cheaper than a shorter version would be. I really care more about former variables than the latter. I would not call the Sightron cheap, at around $800, but it is reasonably light and I found its optics to be pretty clear edge to edge. The only real issue I had with this scope optically is that it has one of the smallest field of views I encountered. Often times scopes with a small field of view are described as making you feel like your looking through a straw. Perhaps not being helped by its distinctly straw like appearance, the Sightron exemplifies this feeling to me. I think the adjustments on this scope are a very good place to talk about commonality in scopes today. It is well known that most brands do not entirely, or in many cases even partially, make their own scopes. A result of this trend is that a great deal of commonality can be found between brands. The most shared component of all seems to be the particular adjustments that this Sightron has. 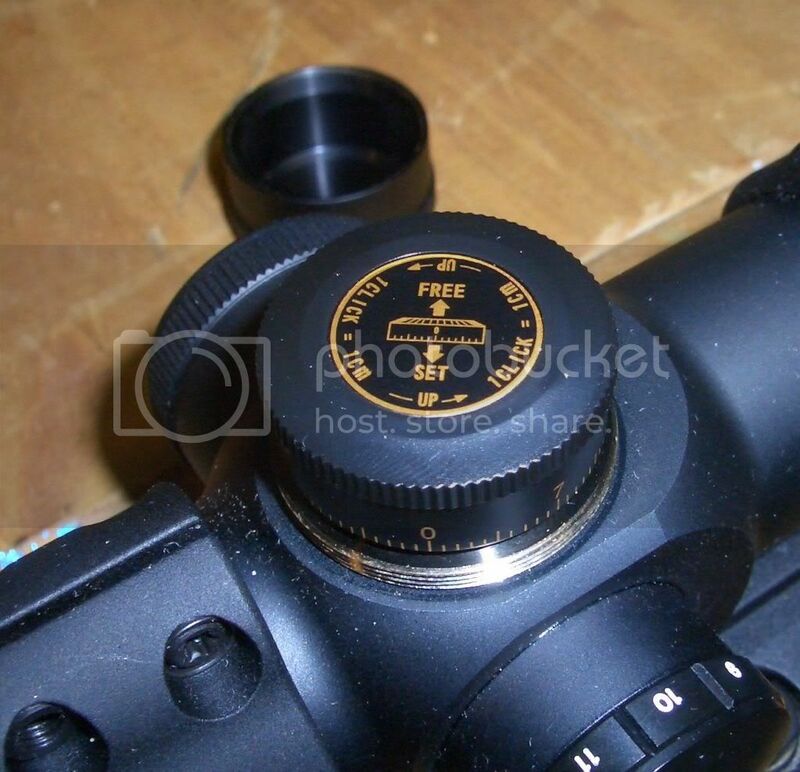 These are .1mil, (they can also be found in 1/4moa on other scopes) finger adjustable, and capped turrets. They pull up to rotate freely and allow the zero to be set and then push down for use. You can find these exact turrets, sometimes with a slightly differently styled cap, in 1/4moa or .1mil, on at least the following scopes: Sightron SIII 1-7x24mm, GRSC CRS 1-6x24mm, Weaver 1-5x tactical, Bushnell 1-6.5×24 ffp or 2fp, and the Trijicon TR24. I believe that most of these scopes are made by Light Optic of Japan though I do not think they all are. This adjustment system in whole, or in part, seems to be an off the shelf component. I refer to it as the Light Optics adjustment as short hand though it is not in only Light Optics scopes or in all of Light Optics scopes. I do not find it particularly surprising that these adjustments are found on so many scopes. They have a clean and well machined appearance, have positive tactile and audible clicks, and, at least on the GRSC 1-6x, track perfectly. These adjustments are near the top of my list of preferred adjustments for this class of scope. This brings me to the illumination and reticle. The Sightron is not winning any prizes in these categories. 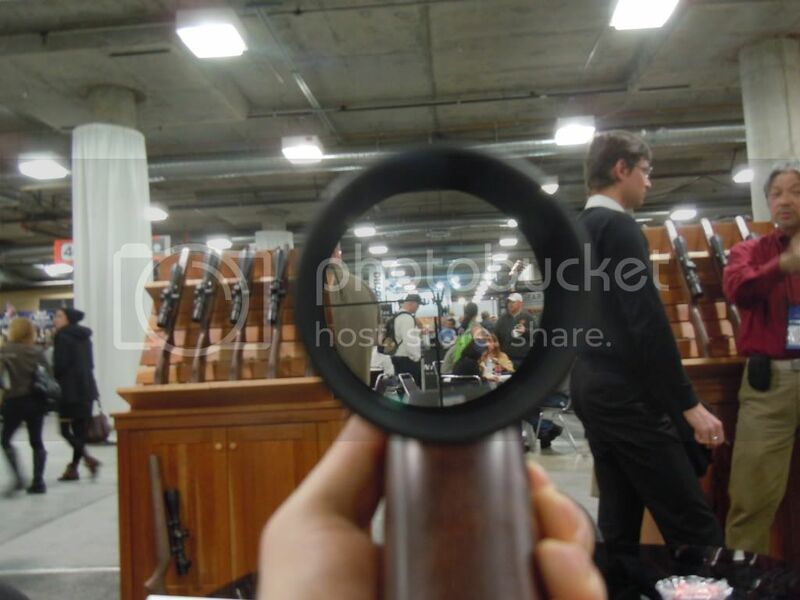 The reticle is a simple 2nd focal plane German #4 design. It is useless for ranging and not particularly good for close quarters. Only the center dot is illuminated which might help it to be fast close quarters but sadly the illumination is not very substantial and so not helpful. Here are the pics through the scope.